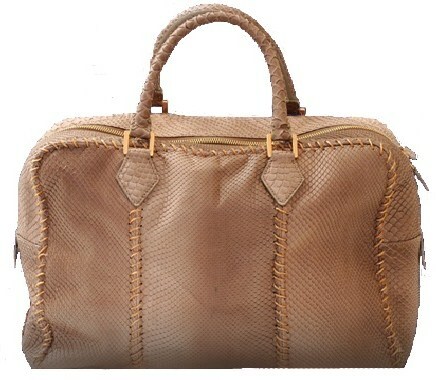 Matt degraded python with hand-woven seams using rose gold metal thread. Yes, please. This bag needs to be in my possession. Now. It's just perfect! I saw Elizabeth Hurley carrying it in a photo on the set of Gossip Girl and I had to find it. Perfect is good way to sum it up. All That Color ... Stylin' or Stuntin'?